Professor Siqi Zheng’s field of specialization is urban and environmental economics, urban development and real estate market, with a special focus on China. She published in many peer-reviewed English journals including the Proceedings of the National Academy of Sciences, and the Journal of Economic Literature, Journal of Economic Perspectives, Journal of Economic Geography, European Economic Review, Journal of Urban Economics, Regional Science and Urban Economics, Transportation Research Part A, Environment and Planning A, Ecological Economics, Journal of Regional Science, Real Estate Economics, Journal of Real Estate Finance and Economics. A book she has co-authored, Blue Skies over Beijing: Economic Growth and the Environment in China (Princeton University Press) was published in May 2016. She has also published more than 100 papers and two books in Chinese. She is the Associated Editor of Journal of Economic Surveys and is on the editorial board of Journal of Housing Economics and International Real Estate Review. She is the Vice General Secretary of the Global Chinese Real Estate Congress and on the board of the Asian Real Estate Society. 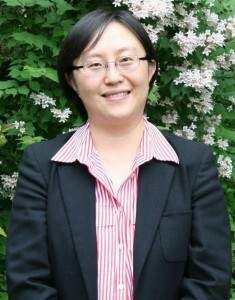 Dr. Zheng has completed or been undertaking research projects granted or entrusted by the World Bank, the Asian Development Bank, the Lincoln Institute of Land Policy, the National Natural Science Foundation of China, the Ministry of Housing and Urban-Rural Development, and the National Statistics Bureau of China, among others. She received her Ph.D. in urban development and real estate from Tsinghua University in 2005 and did her post-doc research at the Graduate School of Design at Harvard University. Prior to coming to MIT, she was a professor and the director of Hang Lung Center for Real Estate at Tsinghua University, China.